Why why did make me choose. 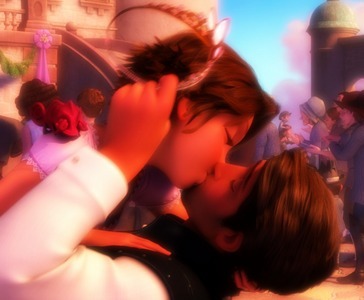 There're so many amazing scenes in Tangled, i really love every seconde of Tangled. But if i have to choose i'll choose the kingdom dance. 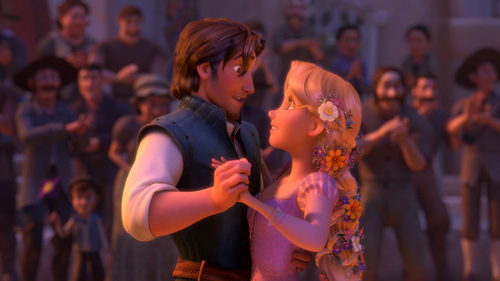 Because their dance is like a way to tell about Rapunzel and Flynn's love story in brief with amazing music, gorgeous dance moves till at the end they can be together. I love the way they look at each other it's like at that moment everything they could think about is being lost in each other's eyes and let me tell u they have such beautiful eyes. What a dance!!! 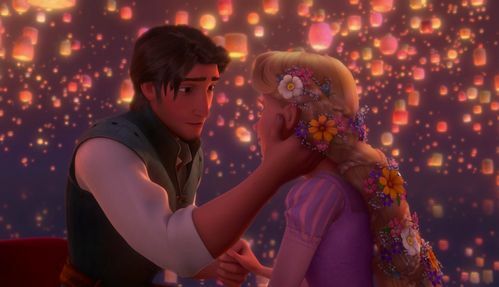 I hate it that this is the last scene of Rapunzel & Eugene in the movie,but it's my fav because I think it shows how much Rapunzel loves Eugene even after his death. Uhm, technically when they look dead in a Disney movie, they ARE dead, but a miracle saves them...like Megara in Hercules, and an almost death would be Hercules himself. Yeah I know its same as the other member posted, but I just love the whole latern scene and the almost kiss! 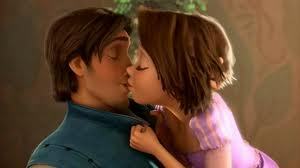 Not to mettion I love "I See The Light" as really expressed what Eugene & Rapunzel felt for each other. It was the very first scene they were finally able tell each other how they really felt. u can just tell door their emotions that they are already deeply in love with one another. This scene gives goosebumps everytime! 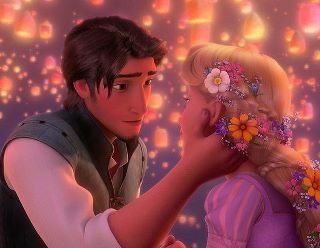 I also loved the scene in tower they tell each other that they are each others new dream, though its sad.